Cataracts are an extremely common ocular condition, and it is estimated that they affect more than 24 million Americans over the age of 40. Although they are normally associated with the older generation, cataracts can be caused by a few other factors, including some medical conditions. Cataracts ​​​​​​​affects your ability to see clearly in a number of ways. 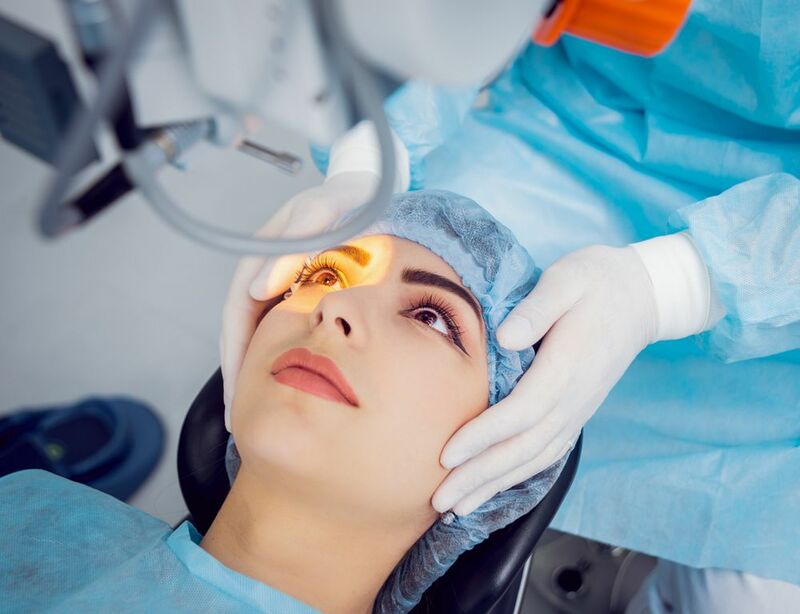 Unfortunately, while prescription visual aids such as eyeglasses or contact lenses can help improve your vision a little in the early stages of the condition, cataract surgery is the only effective treatment. The term ‘cataract’ is used to describe the clouding of the eye’s natural lens. When this happens, it compromises our ability to see clearly, and instead our vision becomes cloudy or hazy. Cataracts are the result of changes in the structure of the lens over time. It is believed that the cloudy areas are caused by protein in the natural lens of the eye becoming thicker and clumping together. However, it is not known for sure why these changes occur, only that they are more likely to occur in older people and get worse over time. Poor lifestyle choices including smoking, excessive alcohol consumption and a poor diet are also suggested to be linked to the development of cataracts. Cataract surgery is an extremely common procedure, with more than 3.6 million being carried out in the United States each year. The surgery itself is relatively straightforward, and usually takes around 45 minutes per eye. It is most often performed as an outpatient surgery using local anesthetic. This means that you should be able to return home the same day as your procedure – although you will need someone to drive you. The procedure involves Dr. Sonny Goel making a small incision into your eye, which allows them to remove the affected lens. It is then replaced with a small, plastic lens referred to as an intraocular lens. After the operation you will need to rest for two or three days, ensuring that you use the eyedrops given to you by your eye surgeon exactly as directed. What happens when you have cataracts in both eyes? If you have cataracts in both eyes, you will need to have two separate surgeries carried out at least a few weeks apart. This will allow each to heal properly and the vision to be fully restored. As a degenerative condition, many people struggle to decide when it is the right time to have their cataract surgery. Should it be performed as soon as the symptoms start to compromise your vision? Or should you wait until your eyesight is severely affected? In fact, the best time to have cataract surgery is when you feel you need it. Many people have cataracts that do not cause them any visual disturbances, and so they can carry on without any unnecessary surgery. However, if the cataracts start to seriously compromise your vision, and affect your ability to do the day to day things that you need and want to do, then it may be time to start thinking about cataract surgery. Your condition will only worsen, not improve, and so once you are significantly affected you should make a consultation appointment for cataract surgery. If you would like to find out more about cataract surgery, or would like to schedule your consultation appointment, please make contact with our experienced, friendly team today.